As Artistic Director and Composer-Conductor, Sung Jin Hong is dedicated to integrating One World Symphony into the fabric of the community through adventurous programming, inspiring performances, benefit concerts, and audience engagement. The symphony has extended its activism with benefit concerts and civic events that serve to heal, uplift, and empower. Hong and One World Symphony have collaborated with many local and global organizations, such as SAVI (Sexual Assault and Violence Intervention Program of Mount Sinai), NY Presbyterian Weill Cornell’s Heart Institute, Holy Apostles Soup Kitchen, The Humane Society of NY, Ramakrishna Vivekananda Center of NY, The Breast Cancer Research Foundation, Make-A- Wish Foundation, Harlem Children's Zone, United Spinal Association, Coalition for the Homeless, Uniformed Firefighter’s Association Widows’ and Children’s Fund (9⁄11), and the American Red Cross: Japan Earthquake and Pacific Tsunami Relief Fund, Haiti Relief and Development Fund, Hurricane Katrina Victims Relief Fund, and the Tsunami Victims Fund. 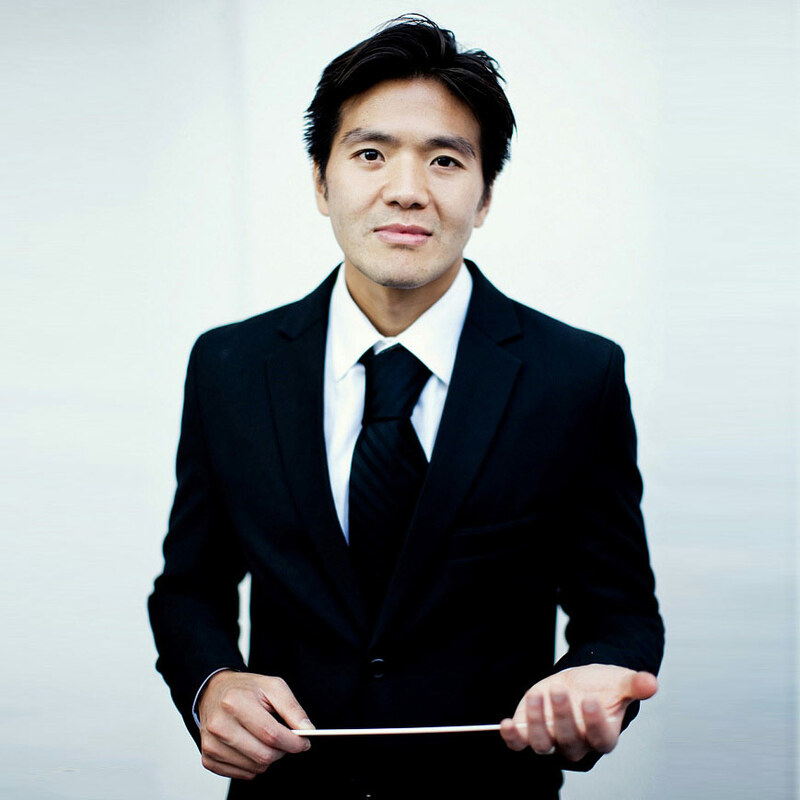 Hong’s conducting engagements included Lyrique-en- mer in France, Stadt Wien Konservatorium in Vienna, Royal Northern Conservatory in Manchester, Tulsa Symphony, Tulsa Ballet, Manhattan School of Music, Mannes, CUNY Grad Center, Bard College, Illinois Wesleyan University, Redlands University, Bradley University, and Western Illinois University. He had the honor of being chosen by Kurt Masur to conduct in masterclasses and a concert with Manhattan School of Music Symphony. Hong made his international recording debut as a conductor under the Naxos record label. Besides the acclaimed world premiere Operasodes ® Breaking Bad—Ozymandias (2014) and Hannibal (2015), Hong has been committed to exploring resonating human issues and “defending equality and human values through powerful art and civic action” through his compositions: mental illness and suicide in Edge (2013, based on Sylvia Plath’s final poem), impermanence and the life cycle in Rite of Cicada (2013), and reclaiming one’s identity in Eye of the Storm (2010, inspired by his return to his homeland and his experience visiting the DMZ). Hong’s most recent composition DEFIANT (2017) was inspired by Michelle Obama’s speech “Shaken me to my core,” Chaplin’s The Great Dictator, Langston Hughes’ Dream Deferred, and Hangang (한강). Hong’s writing has been published by Berlin’s VAN Magazine, Toronto’s Schmopera, San Francisco Classical Voice, and The Brooklyn Paper. Hong and his work with One World Symphony has been featured by Schmopera, Classicalite, BBC, Classic FM, El Pais, The Independent, The Guardian, BThaber, Berliner Zeitung, Louis Le Classique, Indiewire, Esquire, CUNY TV’s Arts in the City, NPR’s Illinois Public Media WILL, Time Out New York, WQXR, The Daily Dot, Textura, The Mary Sue, Operaticus, Lucid Culture, Composers of Sibelius, Tuxedo Revolt, Textura, Very Nerdy Curly, Delmarva Public Radio, CKCU FM, WPRB FM, Korea Herald, NYCulture Beat, NY Japion, The Record, Courier-Life, I Care If You Listen, The New York Times, CNN, and TIME. Sung Jin would like to thank Jenna Simeonov and Schmopera for creating a generous space for “an honest and fresh look” at our community.